A little over a year ago, I was staring at my closet. My style and my sizes have fluctuated over the last few years, so I’ve had a pretty high turnover of fashion. I’ve gotten rid of a lot. It felt good. I feel like I’m finally finding my style. What I buy and how I buy have changed a lot in the last few years. 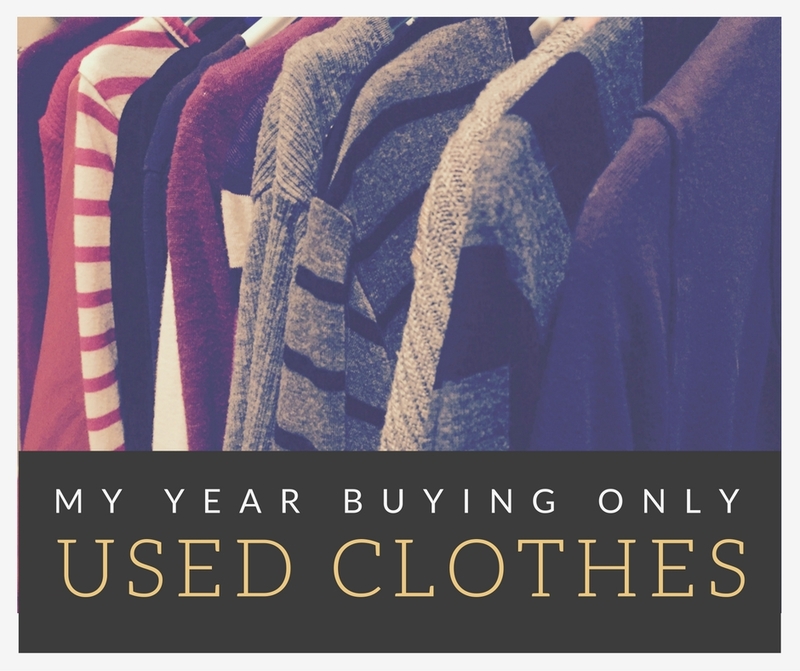 Looking over my closet, I noticed that about 70% of my clothes were purchased used. 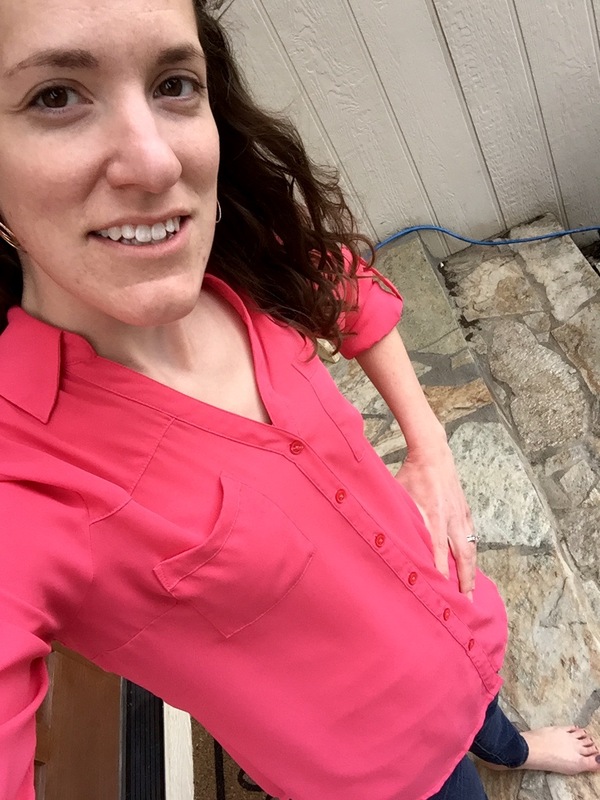 I’ve been a big fan of ThredUp.com (aff link) for years, and our house here is literally a mere 90 seconds away from a good consignment store (seriously, it’s dangerous) Clothes Mentor. So a challenge entered my head – if such a high percent of my clothes was already being purchased used, why not shoot for 100? So I did it. And then I wrote about it. Of course, I’m a blogger. Read more of my reasons and what I did in a full post over on Kansas City Moms Blog. I detail the why and how of my year of buying used. And I never even set foot in a thrift store. Here are a few examples of outfits purchased in the last year, just to show that a person can have a used wardrobe on a budget without looking frumpy and dumpy (I hope, haha). And buying used doesn’t just mean sketchy brands from thrift stores. Spring – Here is an Express shirt (ThredUp) paired with some 7 for All Mankind jeans (Clothes Mentor). Total outfit cost $28 for me. New would have been over $150. 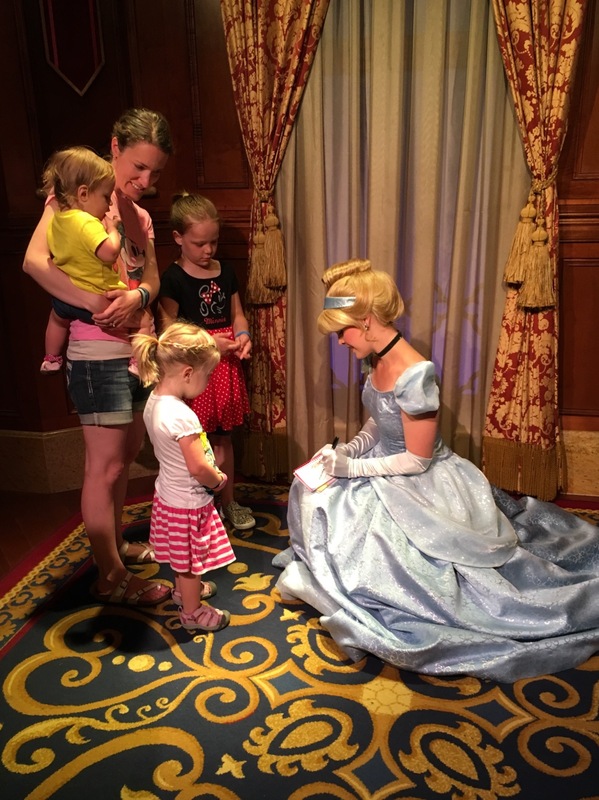 Summer – This isn’t my favorite shirt, but this picture shows a money-saving tip from our Disney trip. I wanted us to all have Disney shirts to wear on the trip, so the girls could feel festive (without paying park gift shop prices, yikes!). So off to our local children’s consignment store I went. All our shirts above (Mickey, Minnie, and Cinderella) were found and purchased for about $4 each. I found two for myself by looking in the 14-16 size (girls) section. This one just makes me laugh. 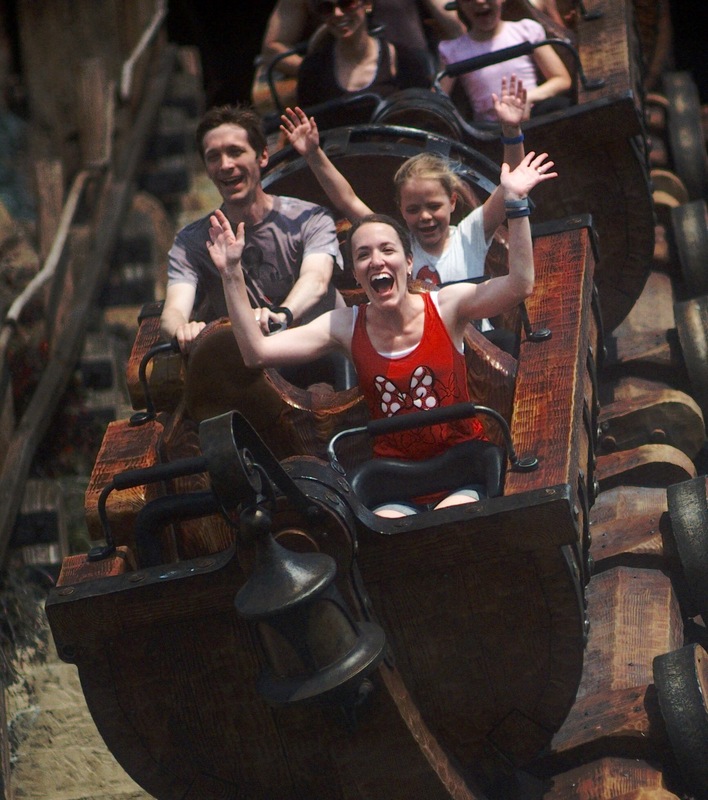 So fun to take Hannah on her first big roller coaster, even if she wouldn’t sit up front with me. :) This Minnie tank top is still in Disney parks gift shops for $34. Mine was $4 at Once Upon a Child. Date night! 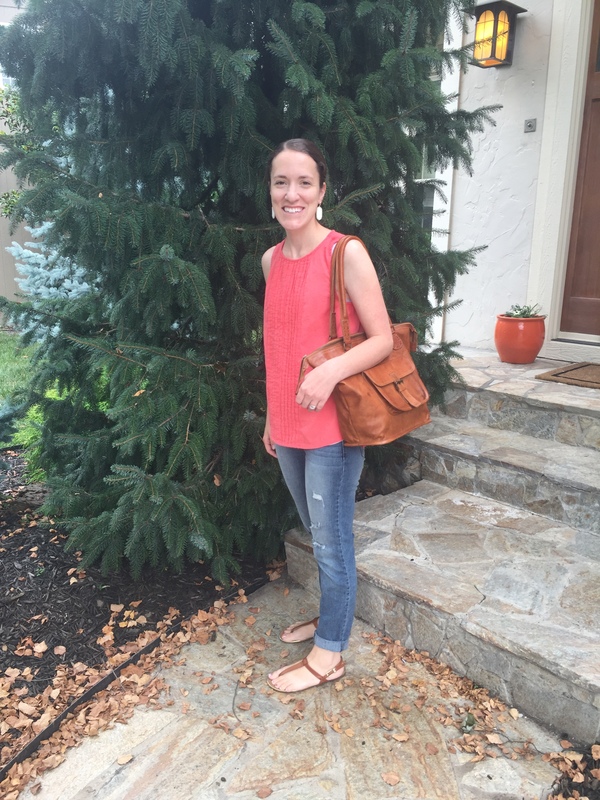 Gap shirt (Clothes Mentor) and distressed jeans (ThredUp). If 2016 was my year of buying used, what is 2017? I still plan to buy used as much as possible, but I want to branch out into supporting more small businesses. This is not as budget-friendly as buying used, but I think there are a lot of other economic advantages of supporting small businesses. Plus, cute and unique items. So Target has been permanently dethroned as my primary clothes source, though it is no longer completely off the table. And I’m not one of those writers that takes on crazy personal challenges for the sole purpose of personal publicity. 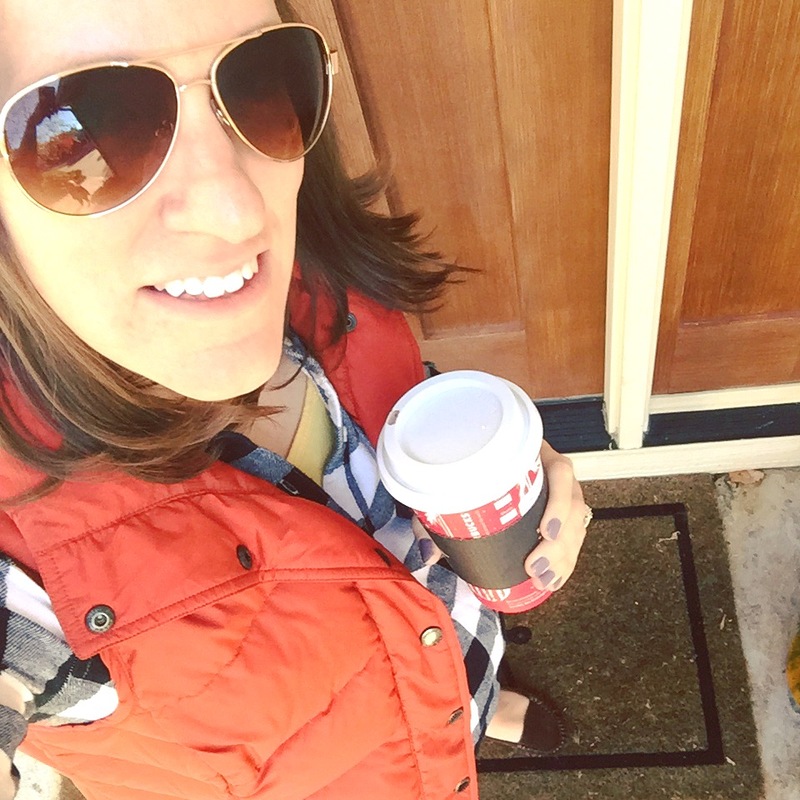 When 2016 began, I was in a nine-month blogging “break” and Kansas City Moms Blog was nowhere on my radar. So the clothes thing started just for me, but I’m excited to share it to encourage others to think about other shopping options. So here’s to new adventures in 2017, and happy shopping! Even though this is our fourth baby, it was the first time we’ve been expecting over the holidays. We’ve previously had 0-3 month olds at that time. The first holidays with a newborn are so sweet. They’re so relaxed; extended family doesn’t/shouldn’t have many expectations from a family in the newborn stage. Everyone snuggles the little one under the twinkling lights, and there’s the visual of “Unto you a child is born.” You pose the baby under the tree and feel like a new version of your family as you start the new year. Being pregnant over the holidays is different. I couldn’t gorge myself with the excuse that I’m breastfeeding and need the extra calories. Nope, instead I was having visions of the scale at the next prenatal appointment. Put that extra cookie down. And instead of feeling sweet family togetherness, I was feeling a missing person. We had four stockings hung on the mantle, and the girls talked excitedly about the new baby. But the new baby isn’t here. He has an identity, he has a name, he’s a subject of much conversation, but he’s not with us, and I think we all felt it more acutely than expected. It seems natural at the holidays to grieve a loved one who is gone, but it’s a weird feeling to grieve the absence of someone who hasn’t even been born yet. It’s not the achy longing of infertility, it’s the acute knowledge that part of my family is missing. And that’s my deep thought – a sense of incompleteness in a season of joy. The funny story involves our name surprise. For the girls, we waited until birth to announce the name. Seemed like a fun surprise for everyone and prevented any weird comments. We picked a name and planned to do the same this time around. 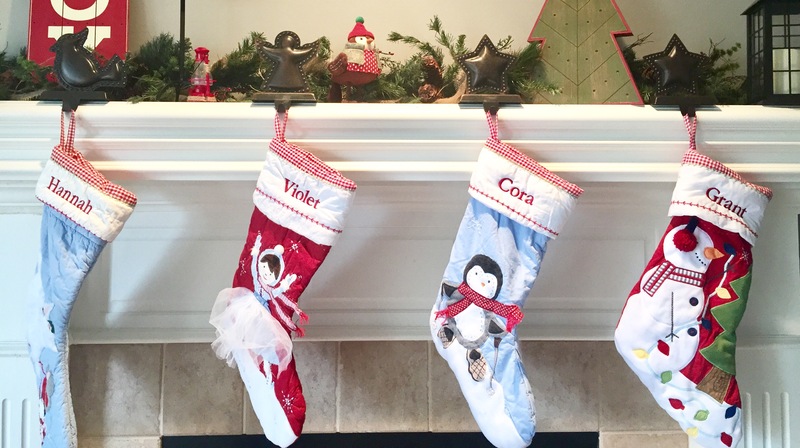 I was afraid our classic Pottery Barn style would be discontinued before next year (and after their disastrous change of manufacturers this year, I wouldn’t be surprised if it is, but that’s another story…), so I went ahead and ordered a monogrammed stocking to match the three girls’. Excited to see it, I immediately opened the package… and realized Hannah was standing next to me… and remembered Hannah can read. She’s no dummy. “I know the baby’s name!! !” she announced. Yep, the secret was out, and Brett and I decided it was easier to go public than try to keep the girls quiet for four months.